Right after Binge On was announced, there were concerns that it might be a violation of net neutrality. Some folks say that it could change how people use video streaming services and reduce a provider’s user base or cause them to miss out on gaining users simply because they’re not included with Binge On. 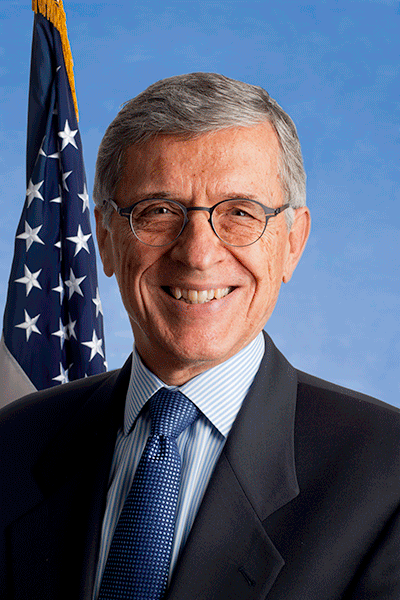 Now FCC Chairman Tom Wheeler has weighed in on the matter. So it looks like T-Mobile won’t have to worry about the FCC taking action against Binge On, at least for now. I don’t think that John Legere and Co. were particularly worried in the first place, because they’ve been arguing that Binge On isn’t a net neutrality issue since providers don’t have to pay to be a part and that they’ll accept any service that wants to be included. T-Mobile needs to stick to that plan going forward if it wants to stay clear of any FCC action, and they need to ensure that all services can get in quickly if they want. While T-Mobile is busy working to get major providers like YouTube into Binge On, it also needs to provide all of the resources that smaller players need to get into Binge On quickly so that they don’t miss out on users. If you’d like to watch Wheeler’s response for yourself, you can find the video here. The Binge On portion starts at around the 47:00 mark. I’ve also included his words below if you’re unable to watch the clip. “I think that it’s clear in the Open Internet Order that we said we are pro competition and pro innovation. Clearly this meets both of those criteria. It’s highly innovative and highly competitive. I also kind of chuckle at the fact that as we were debating the open Internet, everybody was saying, “Oh, this is gonna thwart innovation, it’s going to be terrible. People are going to have to come to the FCC to say ‘Mother, may I?’ before they do anything in the market.” Well that certainly didn’t happen here. As you know, in the Open Internet Order and the debate around it, there was some saying that you should ban the concept of zero rating and others saying that you should permit the concept of zero rating, and we said that we’ll look at it on a case-by-case basis in the general conduct rule. How do trust this guy? Anytime the FCC rules against TMobile the crybabies on here complain about the evil government. Now we trust him? You must be lonely, you went out your way to post a negative comment. Be happy this will make other carriers change for the better. Greedy Bastards. 1st world problems. Yes, but can you really trust someone who denies their dingo lineage? It says 480p or greater. So it will still stream HD when there’s bandwidth available. 480p looks just fine on my screen. You’re bitching right now, so you’re no better. How do you turn on and off binge on demand ? Where is the switch on my Tmobile. If you don’t like it, then go to AT&T and put a RIP sign to your bank account because of the overages! Randall Stepheson is willing to eat up from your wallet. It’s not. It does not look at market share for postpaid phones which is where T-Mobile is winning right now. It’s misleading to say the least. Bravo! Meanwhile Comcast released their own streaming service that DOESN’T count against their new arbitrary limit on competing services. How bout THAT FCC? I was unable to watch YouTube 720p or 1080p videos, without it freezing and then starting again every minute. Watching at 480p was fine. I am sure this is related to something with BingeOn on my account, even though YouTube is not supposed to be a part of BingeOn yet. I haven’t had this problem. Could it be local tower congestion? Doubt it. It was the same last night and at 6 in the morning. This was on Band 12. != Net Neutrality. just wait and see. I’m a MetroPCS 60.00 4G LTE unlimited customer and I keep the Data Maximizer (aka Binge On) enabled. Why use extra, unnecessary bandwidth to watch a video on a small screen? I really don’t want Metro to do away with this plan because it’s nice not having to worry about metered usage. I’m hoping others with the unlimited package follow suite so that prices are less likely to go up or the plan doesn’t go away altogether. There should be a quick menu switch to turn video optimization on and off, and not only that but to switch from 480p to 720p, 1080p and 360p. It should be in the MyMetro app but I haven’t seen it appear yet. Maybe there’s no option to turn it on and off in Metro, maybe it’s always on. I don’t know. What I was saying about the quick menu switch, that doesn’t exist, is that they should make something like that. They’re in the process of updating their app so that it can be turned off and on. For now, it can be done via the account management website. Pretty soon TMO will be the only company that allows unlimited streaming! Quality will improve over time. The bastards at Comcast are reacting with limits now being placed on streaming – pay more to get less. People are cutting the cord because Comcast is too expensive. In my community they (Comcast) have a monopoly as they do in many areas. TMO is enabling more people to leave Comcast by cutting the cord for streaming. Bravo TMO, Binge on has the unintended (maybe intended) consequence of Screwing Comcast! For very good reasons. I dislike AT&T and their data caps too though. Binge is turned on by default. If you are on unlimited and don’t want it be sure to log into your account and turn it off. For prepaid and mvno’s too? If you have an unlimited plan, Binge On would not function the same way. Turning it off would opt you out of the 1 free movie per month promo that is exclusively for unlimited data customers. Won’t it throttle my vidoes to 480p? I don’t want that for a free movie in exchange. This has not been answered anywhere. This could be wrong but I’m leaning towards – No it wouldn’t. I’m sure T-Mobile could face some lawsuits and find themselves in hot water with the FCC if they did this for unlimited plans and did not clarify. It has been implied that Binge On for unlimited customers would be at normal quality. Since unlimited customers do not benefit from Binge On, they will receive Vudu and Sling promotions and etc. I wanted to do some research because I have an unlimited plans as well. I read that as if you are on unlimited and you have Binge turned on you will get 480p video. Other’s are saying the same on other forums. I definitely say they are compensating unlimited customers for using Binge at 480p by giving them a movie rental. I’ll test it out tonight when I get home and cast HBO Now from my phone to my tv with Binge on then off. Yeah, that part is clear but what I’m concerned about about (most importantly) does Binge On reduce the quality of videos for unlimited users. User’s on the android central forums are saying unlimited customers are getting 480p video with Binge turned on. I can’t wait for tonight to try it so I’ll test it when I go home for my lunch break. I tried out HBO Now with Binge turned on and off while casting to my tv. The only thing that was really different was when I advanced the video or went back. The video would stutter for a few seconds and it would need to get the resolution back but after it did if there were any differences they were so minor that I didn’t really notice. I’ll test it some more later and try some of the other apps that Binge supports. Yes, it will throttle ALL your streaming to 480p. If you’re using it on a phone or tab, you won’t really notice that much difference on video quality, especially 480p is standard quality. But if you try to stream it to TV’s or PC’s, it may not look much better than on 720p which is the standard for bigger screens. The only positive benefits of Binge On when you’re on an unlimited 4G data are for free movie rental per month and whatever hotspot usage from streaming partners won’t count on your hotspot allotment. The “read more” link on the main page doesn’t work. I had to click on the comments to actually get here. Seems a reasonable position to take. Also interesting that they’re allowing any video streaming provider to have their content accelerated in the same way for free – let’s hope YouTube and Amazon get on board with this. YouTube has data optimization just like on Binge On (to 480p) but currently not part of participated on Binge On benefit which is free streaming that won’t count on the data plan (if you’re data plan’s 3gb and above). Unlimited talk, text & high-speed 4G LTE data while on our network. Two lines for just $100 per month; add more lines if eligible for $40.00 per month, per line. Unlimited international data and text while roaming in 140+ countries and destinations and calls are just $0.20 per minute. Unlimited music streaming on services like Pandora, iHeartRadio and more, plus a subscription to Rhapsody unRadio included at no extra charge for compatible devices for as long as you have your plan. Unlimited talk, text and data while on our network with no data overages and no annual service contracts. Each line gets up to 6GB of 4G LTE data on our network per month. Includes Binge On optimized video streaming that saves your data. NOW! Includes unlimited calling to any number in Mexico and Canada from the U.S. PLUS get 4G LTE data and unlimited calling and texting when you’re in Mexico and Canada, just like in the U.S., at no extra charge. Unlimited data and texting when you travel to any of 140+ countries and destinations so you can stay connected when you’re abroad. The first 2 lines are $100. You can add more lines for $20.00 per line per month. Coverage not available in some areas. I think those on the 2 Lines for $100 (40 Add a Line) Unlimited Everything promo will only get 1 movie per month on the new Binge On service starting in January. In other words, almost nothing from the latest uncarrier would apply. Stay with the plan that you have now. If you really want to be able to call and use 4G LTE in Canada and Mexico you can add North America for $10 a month. Also you dont really need BingeOn because you have the truly unlimited data. yea 480p isnt that bad but y do that to yourself when u can watch videos in HD and not worry about going over ur data and getting slow network…. Let me tell you. I was prepared to go off on T-Mobile about Binge ON, until I actually tried it on my tablet with a 10.1″ screen. I could not tell a difference in quality from HD streaming. I watched Netflix and Hulu and HBO GO and Showtime with no difference in quality at all. How can this be? I figured the quality would look awful but it didn’t. Has T-Mobile learned digital, trans-coding magic? The video quality under Binge On is on SD 480p, which looks good at tablets & phones, but not that good at big screens like of TV’s which 720p looks better. That’s why. This is setting to much of a dangerous precedent. T-Mobile and other carriers are playing with fire.